A reverse mortgage is a type of home equity loan for those 62 and older that lets borrowers convert their home equity into cash in the form of monthly payments, a lump sum or a line of credit. When it comes to choosing a reverse mortgage lender, you want to find a company who specializes in reverse mortgages, discloses its fees and offers top-notch customer service. As one of the largest reverse mortgage lenders in the nation, AAG sets itself apart by offering multiple HECM loan products, including Jumbo HECM loans. If you're considering a reverse mortgage, read our top picks for reverse mortgage lenders. AAG got its start in 2004 when Reza Jahangiri, newly graduated from Loyola Marymount University, decided to go into the reverse mortgage business. His goal was to help seniors retire more comfortably, and so the Orange, California-based AAG was born. In the years since, AAG has grown to become the largest reverse mortgage lender in the country. Since its inception, AAG has become fully accredited with the Better Business Bureau and won numerous awards, most recently the BBB’s Torch Awards for Ethics in December of 2017. AAG originated 12,000 of the 49,000 new reverse mortgages insured by the FHA. Jahangiri has become co-chair of the National Reverse Mortgage Lenders Association (NRMLA), and has seen his company grow to employ over 1,200 people in six states. Customers speak highly of the service they get from the lender, because its experience, product range, transparent pricing and fast closing times are among the best in the industry. Like conventional mortgage loans, you pay some fees associated with reverse mortgages upfront, while other fees you pay as part of the loan. These are in addition to ongoing costs, such as loan interest, mortgage insurance premiums, property taxes, homeowners insurance, maintenance and any applicable HOA fees. Below is an overview of what some of the costs might look like. Nintey-six percent of AAG customers report being satisfied with AAG’s loans and their dealings with the company. AAG offers an extensive list of reverse mortgage products including standard HECM loans, HECM for Purchase and HECM refinancing. 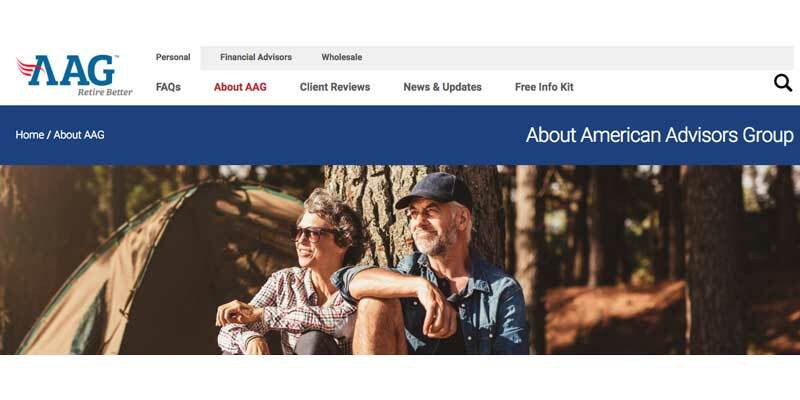 Anyone seeking a jumbo reverse mortgage, one which exceeds the Federal Housing Administration’s $679,650 limit to as high as $6 million, should take note: AAG is one of the few reverse mortgage lenders offering jumbo loans. Standard Home Equity Conversion Mortgages (HECM) Borrowers can qualify to receive a HECM (adjustable rate or fixed rate) on their home’s value up to $679,650 (as of January 1, 2018). HECM for Purchase A loan designed to help senior homeowners purchase a new home while obtaining a reverse mortgage in the same transaction and paying only one set of closing costs. Reverse Mortgage Refinance If you have an existing reverse mortgage, a reverse mortgage refinance offers a way to get a better interest rate, access more equity due to an increase in the home’s value, or add a spouse. Single-Purpose Reverse Mortgage A Single-Purpose loan is a less expensive option designed for a specified and approved purpose (i.e. property taxes or repairs). Not backed by HUD / FHA. Proprietary Reverse Mortgage Also called Jumbo Reverse Mortgage Loans, these types of loans are for those with substantial home equity who need more than the HECM’s federally set borrowing limit. They are backed by banks and private lending firms and are not insured by the FHA. Eligibility for a reverse mortgage with AAG is in line with the HUD list of requirements for HECMs for seniors. Borrower Requirements Borrowers can qualify to receive a HECM (adjustable rate or fixed rate) on their home’s value up to $679,650 (as of January 1, 2018). The Better Business Bureau rates AAG with an A- based on 198 positive reviews, six neutral reviews and 24 negative reviews. Phrases such as “very patient and professional,” “excellent communication” and “very positive experience” are frequently found in customer reviews. The majority of the negative reviews seem to stem from things that AAG has no control over, such as HUD regulations. Like many other large reverse mortgage lenders, AAG has had to reign in its advertising. In 2016, the Consumer Financial Protection Bureau fined AAG and two other reverse mortgage companies after an investigation found they used deceptive advertising practices. AAG paid the $400,000 fine and has since completely revamped its ad campaigns and practices. Does AAG charge a lender servicing fee? No. Many companies charge a monthly fee to defray the costs of providing customer service, maintaining accurate records, certifying your occupancy status, issuing statements of account, issuing and collecting payments, collecting on the loan when it becomes due and discharging the mortgage. AAG does not charge this type of lender servicing fee. If I have a reverse mortgage, can the company or government dictate who lives in my home? As long as you still live in the home, having a HECM doesn’t alter who can live with you. However, if you die or move, unless you have a co-borrower that continues to live in the home, the people who live with you may have to vacate if they can’t pay off the loan. Can I apply for a reverse mortgage if I haven’t fully paid off my mortgage? Yes. Your existing mortgage is paid off with funds from the reverse mortgage, eliminating monthly mortgage payments entirely. How long does the HUD-approved reverse mortgage counseling session usually last? Sessions approved by the Department of Housing and Urban Development generally last between one and two hours and can be done over the phone or in person. Once you have completed your session, you’ll receive a certificate that you’ll use in the paperwork phase of the loan. Do I have to have hazard insurance on my mortgaged property? Yes. You must have hazard insurance covering your home in an amount that is equal to at least 100 percent of the insurable value of the property. Every year when you renew your insurance, you must provide your loan servicer with a copy of your hazard insurance policy. If you fail to maintain adequate hazard insurance on your property, it is considered defaulting on the loan. What if the loan amount ends up being more than the value of my home? Reverse mortgages are non-recourse loans, which means that after the last borrower dies or moves out, the proceeds from the sale of the home are the only asset that can be taken to pay the loan balance. If the balance of the loan is more than the value of the home, the FHA’s insurance fund covers the difference. When it comes to reverse mortgages, experience counts. AAG has the experience to make the process easier for you. With its long track record and excellent reputation for customer service, AAG is one of the most trusted reverse mortgage lenders, particularly for those with high-value homes looking for large loans. Of course, whether or not a reverse mortgage is the choice for you depends on several personal factors. Before signing any paperwork, talk to a loan counselor at AAG to get answers to any questions that you may have. You can request a free, no obligation information kit by visiting the company’s website or give them a call via their toll-free number. Mike ** was our go-to guy for arranging our reverse mortgage in Northern California. Despite the complexity and length of the process of filing paperwork and dealing with multiple agencies, Mike was completely reliable and maintained regular contact with us. He always kept his word and was helpful in navigating the burgeoning reverse mortgage industry. We found him to be completely trustworthy at every level.